Psychological evaluations are a highly useful means of clarifying diagnoses, providing insight into problems, and guiding therapeutic interventions. Psychological evaluations can reduce the amount of time that clients spend in therapy since testing can quickly identify problem areas that might otherwise take a substantial amount of time to discover. Comprehensive evaluations provide clients detailed information about how they tend to process information, areas of strengths and weaknesses, and how social and emotional factors are contributing to overall well-being. Psychological evaluations can help individuals of all ages. They are often used to detect the presence and severity of mood disorders, anxiety, suicidality, personality disorders, and substance abuse proneness. They can identify good career fits based on a client's experience, interests, and skills. They can assess the possibility of attention deficit disorders or autism-spectrum disorders. Furthermore, they can provide a baseline of memory and cognitive abilities, which can be re-assessed periodically to measure decreases or improvements in levels of functioning. Psycho-educational evaluations are similar to psychological evaluations, but also incorporate academic abilities: reading, writing, and math skills. Psycho-educational evaluations are highly beneficial in identifying academic strengths, as well as pinpointing why certain difficulties may exist, such as the possible presence of a learning disorder. They can also identify intellectual giftedness. Psycho-educational evaluations can help distinguish symptoms of anxiety from attention deficits. They provide clients information about how they tend to learn, organize, and recall information best. They can help identify learning difficulties and provide recommendations for intervention. They provide information on how personality and situational factors impact academic performance. Psycho-educational evaluations provide a framework when academic accommodations are needed at any point in a person's academic career, ranging from elementary school through college. CogMed© is an empirically validated, computer-based intervention for improving attention problems caused by poor working memory. It can help enhance academic performance and vocational performance. Participants, who have completed the program, have demonstrated improved concentration, organizational skills, and multi-tasking abilities. The program combines cognitive neuroscience, an innovative computer game design, and close professional support to deliver substantial and lasting benefits. Various versions of CogMed© are available in order to make it applicable for young children, adolescents, and adults. It is an effective tool that is completed at home with regular coaching from a trained CogMed coach. 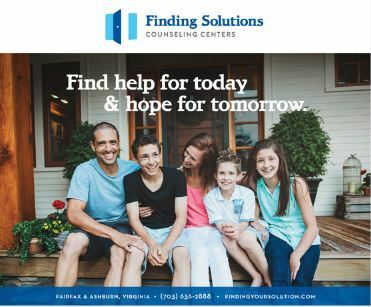 The training program is available world-wide, but can only be offered in conjunction with qualified CogMed© practices, such as Finding Solutions Counseling Center.